I had a conversation last night with a former colleague at CBS. We started talking about life in journalism vs life in PR when our conversation steered towards the biggest PR mistakes publicists make when speaking with journalists. Clients frequently ask me to make these mistakes, but I try to explain to them why this approach will hurt us. These mistakes might seem rational to you, but lots of times, logic has nothing to do with journalism. Regardless of whether you are trying to get publicity for a tech startup, mobile app or established business, here are 4-tips that your publicist should never make when speaking with reporters. 1) They ask you to hangout – As an Executive Producer with NBC and Senior Producer with CBS in New York, publicists were always asking me out for drinks. While it’s a nice gesture, do you really want to hang out with someone you don’t know? A better approach is to organize an event at a place where they normally can’t get into and explain why it’s in their best interest to meet. Last year, a client from Canada was in New York for a TV appearance. I invited a few targeted reporters to the ultra private Soho House to meet this client and discuss some of the trends in that industry. I knew these reporters all wanted to experience the Soho House, but they couldn’t get in. This was our Ace card. We ended up getting some long face time and story pitches to influential reporters with several major NYC newspapers and online publications. 2) They call your phone – In smaller markets, this is more acceptable, but in the larger markets – no publicist should cold call a reporter. They hate it. So how do you get them on the phone and pitch your story? Here’s my approach. Send them a quick email. Tease them with the story, and ask them if you can set up a quick call with them over the phone. If you are effective with your tease, every smart and visionary reporter will bite. 3) When is the story running? – I understand why every client wants to know this but the inside scoop is usually the reporter doesn’t know. It’s up to the Executive Producer (in TV) or editor (in print) to decide when it runs. And just because it is scheduled to run, that doesn’t mean it will run. Sometimes, stories are delayed for editorial, timing or pure space reasons. Instead of nagging the reporter, keep a close eye on when their stories run. If you don’t see them in the paper, or on TV, shoot them a short email and ask them if they have any idea when the story will run. It gives them a safe out to say – “I don’t know yet.” And if they do have an idea, they will tell you. 4) Can we see the story in advance? – This is one of the quickest ways to alienate reporters. Journalists are very independent people, and you never want to give the appearance that you are bossing them around, or driving their coverage. As a former journalist – and now owner of a PR firm – I sometimes go into my leadership role. But I can’t do that with reporters – and neither can you. It’s their job. Not your job, so don’t try to lead their coverage. 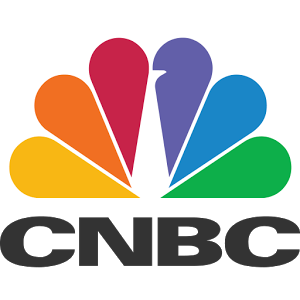 CNBC has asked me to give weekly analysis on the presidential candidates – from a media and PR perspective. I wrote a piece this week on Donald Trump and if feedback is any reflection, he really ignites passion from both sides. I’ve already given media strategy and analysis on the other candidates, but they didn’t ignite the comments, tweets and even emails that this article ignited. Click here to read my CNBC analysis. As always, I try to make it relevant for business owners.